– the important part of the glyphosate label here is the use-specific directions, or the section within the larger “Roundup Ready” part of the label that deals with soybeans. – If the soybean section of the glyphosate product label does not mention specific genetics by trade name, but just the wording “glyphosate-resistant” or “glyphosate-tolerant”, then it is legal to apply that product to the LL-GT27 soybean. – if the soybean section of the label restricts use to certain genetics by trade name – “Roundup Ready”, “Roundup Ready 2 Yield”, etc, then it would not be legal to apply to the LL-GT27 soybean. 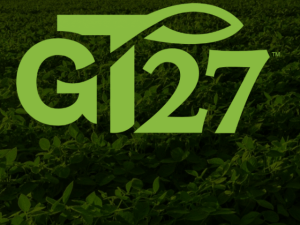 – if the wording on the label is along the lines of “For Use on Soybeans with the Roundup Ready gene”, or similar wording with other specific genetics, it would not be legal to apply to the LL-GT27 soybean. Our not exhaustive search through glyphosate product labels indicates that most if not all do not contain any wording about “glyphosate tolerance” in the soybean section, and indicate use is specifically on “Roundup Ready” or “Roundup Ready 2 Yield” or “Soybeans with the Roundup Ready gene”. This includes Roundup PowerMAX, Durango DMA, Abundit Edge, Credit Extreme, and Cornerstone to name a few. Manufacturer reps with a glyphosate product label that varies from this are free to contact us so we know. The inability to use glyphosate on the LL-GT27 soybean affects primarily growers who bought it for the genetics or other traits and not the LibertyLink trait, who might have planned to use only glyphosate POST. Most of the utility of this soybean on problem broadleaf weeds comes from the LibertyLink trait though (and it’s definitely legal to apply glufosinate POST). There’s plenty of generic clethodim around to help out with grass. We assume label language will adapt over time to take care of the glyphosate issue. We’re not even sure this issue would have come up if we hadn’t tried to clarify the tank-mix legality and stepped right in it. There appeared to be some confusion in the field about this though, with different stories being told, and better to just clear it all up way in advance of the season. Stay tuned for the next chapter. Offer void where not legal. Legality may vary by state. Your mileage may vary. Side effects may include confusion, apathy, anger, and spontaneous profanity. A world-renowned scientist will be the keynote speaker on the first day of this year’s Conservation Tillage Conference (CTC) in Ada. Christine Jones, an Australian Soil Ecologist, will be giving the keynote of the annual event with the topic “Building New Topsoil Through the Liquid Carbon Pathway for Long Term Production and Profit.” The annual conference is scheduled for March 5thand 6th at Ohio Northern University. The McIntosh Center and Chapel on campus will once again be the location where about 60 presenters, several agribusiness exhibitors, and approximately 900 participants will come together to learn about the latest topics in crop production. Farmers will be able to choose from four concurrent rooms that will host a variety of speakers from several land grant universities as well as agricultural agency and industry personnel. Tuesday, March 5th there will be Corn University; Nutrient Management; Precision Agriculture and Digital Technologies; Cover Crops, No-Till, and Soil-Health speakers in each of these rooms. Wednesday, March 6ththere will be Cover Crops: Issues and Benefits; New Tri-State Fertilizer Recommendations; Soybean School; Water Quality Research and Best Management Practices; Soil Balancing – Is it Important to Manage the Calcium: Magnesium Ratio in Soils? ; and Identity Preserved Crops. The conference fee is $85 for both days ($65 for one day) if paid online by February 21; registration afterwards and day of the event is $80 for one day or $105 for both days. Registration includes lunch and break refreshments during the day. Registration information and a detailed program schedule may be found at http://ctc.osu.edu. The detailed program also includes information on continuing education categories for each presentation. Certified Crop Advisers (CCA) will be able to receive seven hours of continuing education credits each day. Hours will be offered in all categories, including hard to get categories of Soil and Water Management and Nutrient Management. 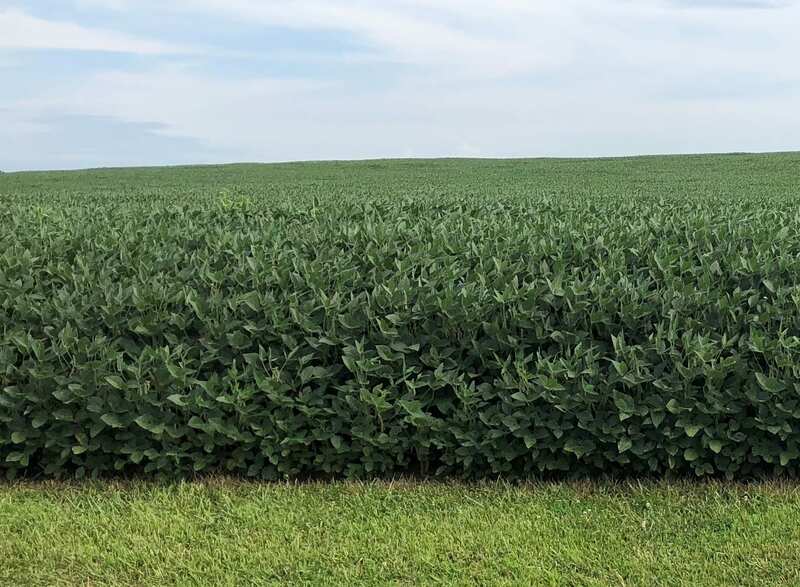 We are starting to see the availability of soybean varieties with more than two herbicide resistance traits, which can expand the herbicide options, improve control, and allow multiple site of action tank mixes that reduce the rate of selection for resistance. One of these is the Enlist soybean, with resistance to glyphosate, glufosinate, and 2,4-D. As of this writing, full approval for the Enlist soybean is still being held up by the Philippines (because they can apparently). The other is the LL-GT27 soybean, which has resistance to glyphosate, glufosinate, and isoxaflutole (Balance). There is no label for use of isoxaflutole on this soybean yet, but it is legal to apply both glyphosate and glufosinate. In Ohio, as long as neither label prohibits applying a mixture of two herbicides labeled for a specific use, it’s legal to apply the mixture. 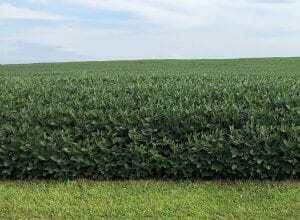 So, it’s also legal to apply a mixture of glyphosate and glufosinate to the LL-GT27 soybean. There is no label that actually mentions or provides guidance for this mixture, which does not affect legality, but could affect who assumes liability for the recommendation to apply a mixture if that matters to you. Some seed companies are making the recommendation for POST application of the mix of glyphosate and glufosinate to the LL-GT27 soybean in printed materials. Our interpretation after discussion with ODA, is that these materials are essentially supplements to labels, and so the seed company would assume some liability for the recommendation. Artificial Intelligence – How Is It Going To Change Our Industry? 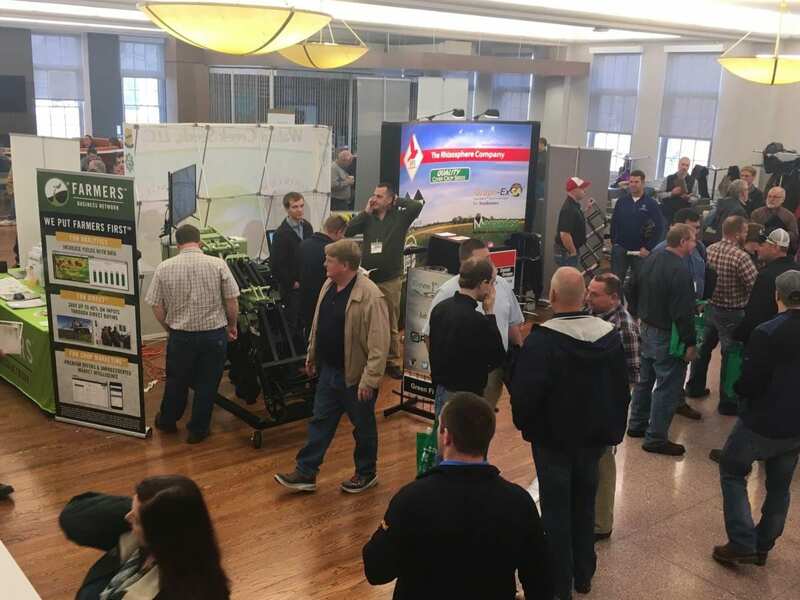 Only 33 days until the 2019 Central Ohio Precision Ag Symposium – Register now! We are in the midst of unique and exciting times, when agriculture is transforming from the “old” precision agriculture to the era of artificial intelligence. Artificial intelligence (AI) is a technology that exhibits behavior that could be interpreted as human intelligence. 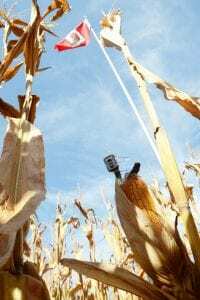 Can we apply artificial intelligence in agriculture? Can a computer be better than man in making decisions. Can an algorithm beat farmer’s gut instinct and experience? 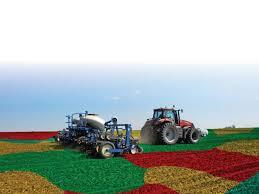 In recent years, agriculture has gone through a major revolution. From being one of the most traditional sectors, it has become one of the most progressive ones. Artificial Intelligence will be a part of may presentations at the 2019 Central Ohio Precision Ag Symposium. This program is sponsored by The Ohio State University Extension, AgInfoTech, Advantage Ag & Equipment, Ag Leader, B&B Farm Service, Beck’s, Capstan, Centerra Co-op, Central Ohio Farmers Co-op, Channel, Clark Seeds, Climate Corp., Evolution Ag, Farm Credit Services, Farm Mobile, First Knox National Bank, JD Equipment, Ohio Ag Equipment, Precision Planting, Seed Consultants, Smart Ag and Soil-Max. 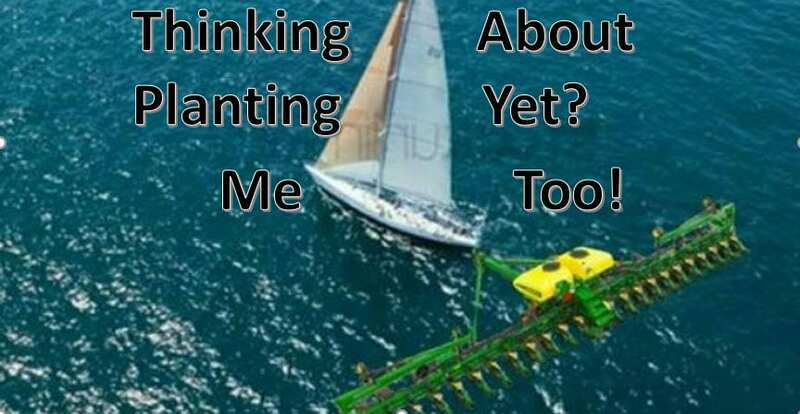 Big Data is one of the current “buzz words’ in precision agriculture. We can easily fill computer hard drives with the data we are able to collect today. Just last year the Ohio State Precision Ag Team set a world record for the amount of data collected (18.4 gigabytes) from one corn plant during the growing season. How much is 18.4 gigabytes? Think of it this way. According to the Ohio Country Journal, if you were to collect that much data per plant in a 100 acre field, you would need 360 million file cabinets to store all the data. Our challenge today is to sort through all the data to determine the amount and type of data we are capable of managing. Dr. John Fulton will address some of these issue in his presentation – “Data Considerations in Today’s Crop Production” at the 2019 Central Ohio Precision Ag Symposium. The event, hosted by Ohio State University Extension – Knox County and Ag Info Tech will take place Jan. 16 in Waldo, Ohio, at All Occasions Catering. Doors for registration will open at 8:30 a.m. Lessiter Media’s Jack Zemlicka address the current adoption trends in precision ag and insights gained from farmers, dealers and manufacturers on where the industry is headed. Included between these presentations will be time for attendees to meet with sponsors of the events. Following the last presentation, there will be an hour-long lunch break. After lunch, attendees will be able to go to breakout sessions on topics ranging from manufacturing and technology to data/software updates. The event will finish with a closing presentation from Dr. Scott Shearer on the future of precision agriculture. This program is sponsored by The Ohio State University Extension, AgInfoTech, Advantage Ag & Equipment, Ag Leader, B&B Farm Service, Beck’s, Capstan, Centerra Co-op, Central Ohio Farmers Co-op, Channel, Clark Seeds, Climate Corp., Evolution Ag, Farm Credit Services, Farm Mobile, First Knox National Bank, JD Equipment, Ohio Ag Equipment, Precision Planting, Seed Consultants, Smart Ag and Soil-Max. Only 40 days until the 2019 Central Ohio Precision Ag Symposium – Register now! Lessiter Media’s Jack Zemlicka will be delivering the first presentation during the 2019 Central Ohio Precision Ag Symposium. Zemlicka will address the current adoption trends in precision ag and insights gained from farmers, dealers and manufacturers on where the industry is headed. January 29 – Pesticide and Fertilizer Re-certification – 5:30 p.m.
March 27 – Pesticide and Fertilizer Re-certification – 9:00 a.m.
As producers are planning their seed needs for next year, it is important to think about acreage, hybrids, and seeding rates. Finding the best corn seeding rate is important for efficient production, but the “optimum” corn seeding rate – the one that maximizes profitability – can vary within and among fields with small differences in soils and weather. While adoption of variable rate technology is increasing, there are still questions related to how this technology will impact seeding rates, profitability, and be impacted by yield level compared to using a uniform (or fixed) seeding rate with modern hybrids. In order to help estimate the profitability of variable rate corn seeding in the US Corn Belt, we used results of 93 seeding rate trials in Ohio (2012-2016) to see how variable the response to seeding rates was, and to see if factors like yield level might help us do a better job of setting plant populations. One of the missions of the State Climate Office of Ohio (SCOO; https://climate.osu.edu) is to serve as data stewards to connect Ohioans with the weather and climate information necessary to improve lives. 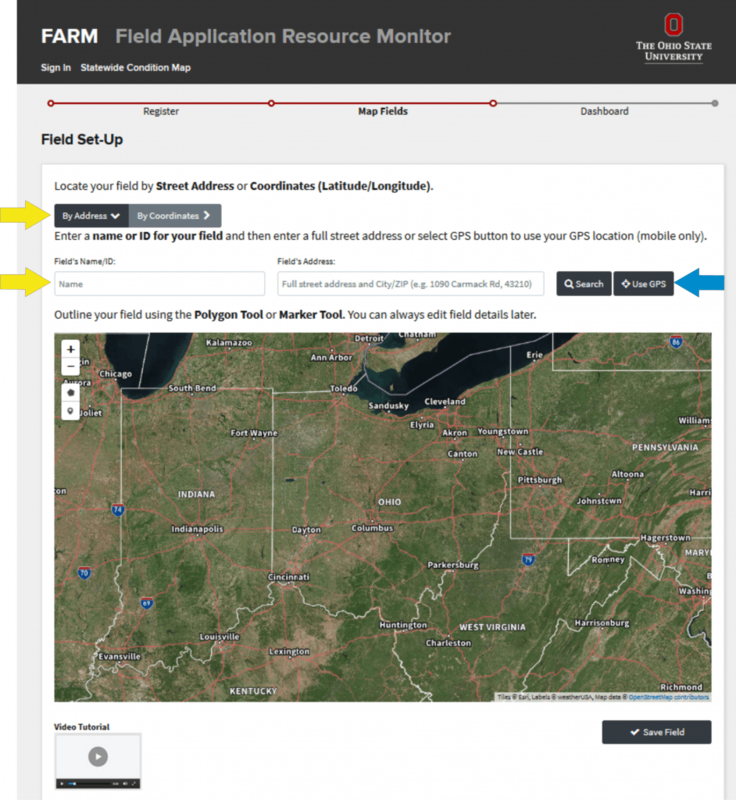 In an effort to provide farmers across the state with sufficient weather guidance, specifically to aid in decisions regarding the application of fertilizer and manure, SCOO has developed FARM, the Field Application Resource Monitor (https://farm.bpcrc.osu.edu/). Daily email notifications if desired (text alerts coming soon). 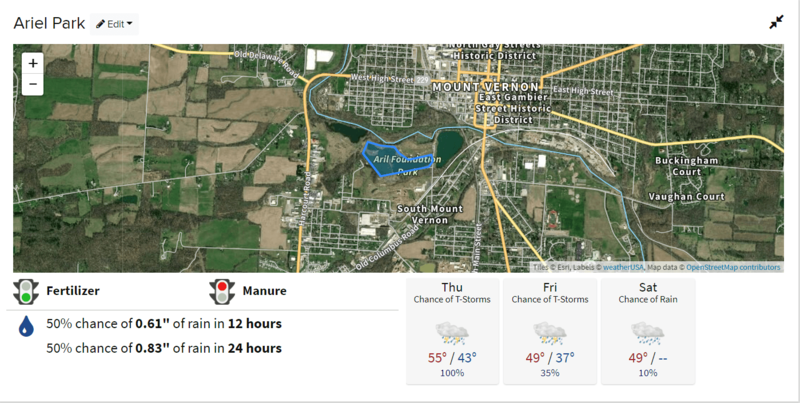 Originally designed in response to Senate Bill 1 regulations for the Western Lake Erie Basin, FARM can help any farmer throughout Ohio follow best management practices with regard to their precipitation forecast needs. Precipitation forecasts in FARM are provided via the National Oceanic and Atmospheric Administration’s Weather Prediction Center (WPC). We utilize the probabilistic forecasts which are based on a combination of WPC’s 6-hour quantitative precipitation forecasts and an ensemble of model forecasts. This data is available on a 1.5 mile x 1.5 mile grid, meaning FARM provides precipitation guidance on a local scale. Again, FARM can be found by visiting /farm.bpcrc.osu.edu/. For more information on creating user profiles, returning, and other features of FARM, please check out http://u.osu.edu/farmprecip for a full tutorial. We have also provided a feedback button on the initial screen and request feedback, suggestions, and improvements as we continue to improve our product. This program provides weather data only and does not take into account current field conditions. Below is a snapshot of the weather information for our office at 160 Columbus Rd. The EPA extended the registration for two years for over-the-top use of dicamba to control weeds in fields for cotton and soybean plants genetically engineered to resist dicamba. This decision was informed by extensive collaboration between EPA, the pesticide manufacturers, farmers, state regulators, and other stakeholders. The registration includes label updates that add protective measures to further minimize the potential for off-site damage. The registration will automatically expire on December 20, 2020, unless EPA further extends the registration. The following label changes willbecome effective this year.